The Big Apple Photo Highlights Which Falls Faster, Josh or a MacBook Pro? 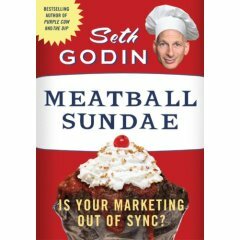 John Moore first mentioned this to me a few months ago, and now Geoff Livingston has posted something about it, there is a mention of me in Seth Godin’s new book, Meatball Sundae. John told me it has something to do with the Katherine Harris comment-spam posts. Need to get confirmation of this though. Confirmed. It went, “Josh Hallett reports…” And then he retold your story about outsourcing comment spam. Hurray to you, Josh! Hope you had a great holiday weekend.